Light in offices has two main tasks: ensuring pleasant illumination for work and being as energy-efficient as possible. 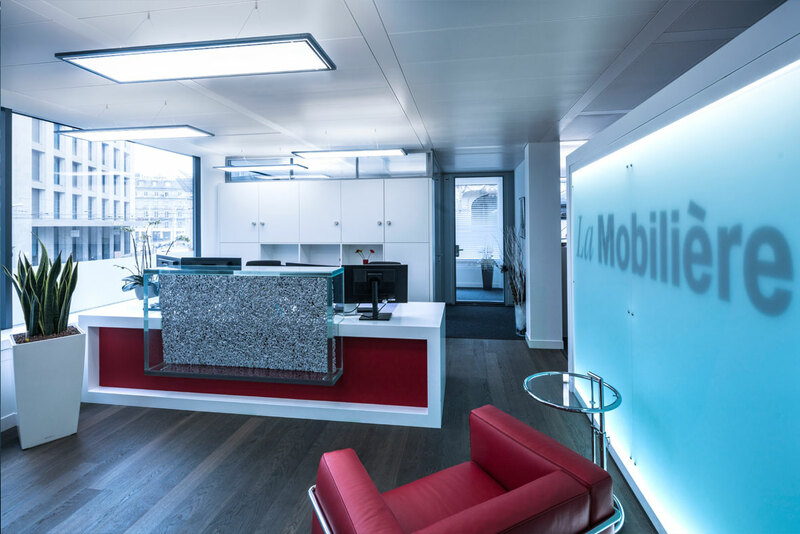 If the luminaires also complement the interior design as thay do at Mobiliar Versicherung in Geneva, then designers have delivered a successful lighting concept. Situated in the historical centre of Geneva are the headquarters of Switzerland's oldest insurance company – surroundings that demand a prestigious appearance. Such was also the approach adopted for upgrading the lighting installation. A lighitng system was looked forwith a design that could blend into the spatial concept and function as suitable replacements for the obsolete T8 systems. The response was TRILUX’s Lateralo Plus LED. 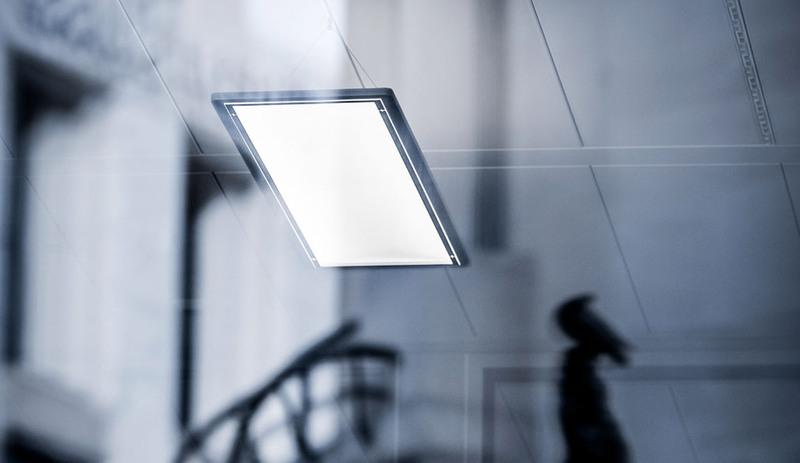 Distinguished with the iF Product Design Award and Red Dot Award for Product Design, the Lateralo Plus LED not only convinced the insurance company with its elegant appearance – even when turned off, the extremely slender pendant luminaire with a transparent panel and concealed power supply simply “looks the part” in the Mobiliar offices. The TRILUX luminaires appear to float weightlessly in the room. 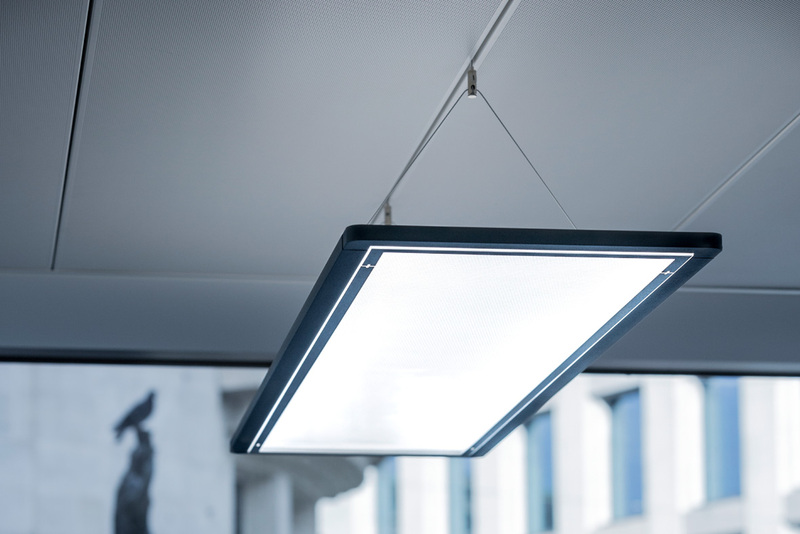 In operation it shows its full strengths though – achieving maximum visual comfort and almost shadow-free, planar light via innovative light control. The uniformly wide light distribution simplifies both lighting design and interior design because it allows variable ceiling spacings. 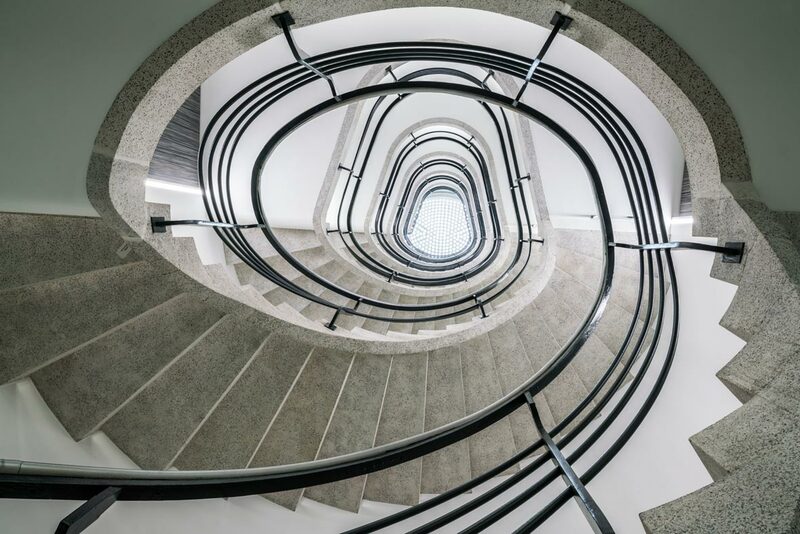 "What makes it achieve first-class light is a special optic with prismatic points that creates a homogeneous light emission surface," explained Markus Elmer, Managing Director of TRILUX Switzerland. A new level of glare control is achieved by the innovative cover, the so-called Binary Light Guide System. The prismatic points were doubled and arranged in two levels for this purpose. 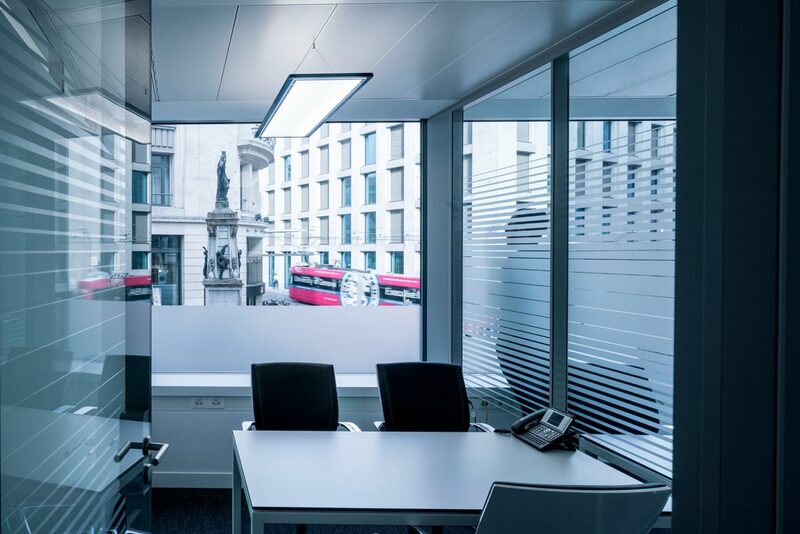 "In the Mobiliar offices the Lateralo Plus LED is an architectural highlight and can be ideally used in all offices for standard-compliant, planar general lighting," continued Markus Elmer. The project was also a successful investment when you consider that energy savings of 50% energy is easily achieved, compared to the previous lighting installation. The Lateralo Plus LED’s Binary Light Guide System guarantees glare-free light. The flat design of the Lateralo Plus LED is ideal for low ceiling heights.